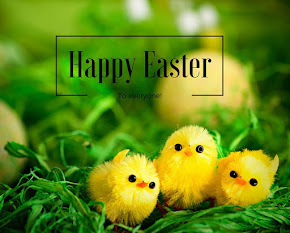 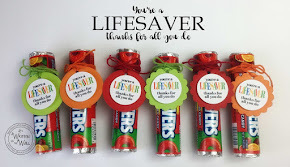 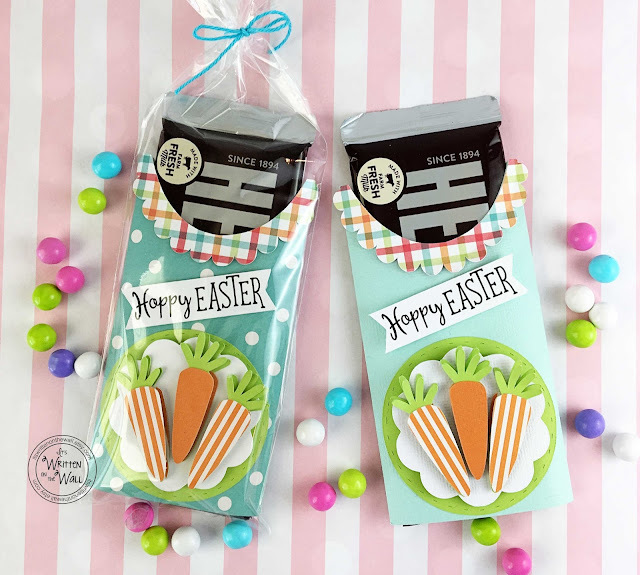 It's Written on the Wall: (Easter) A Very Special Easter Candy Bar Wrap for Baskets, Friends, Teachers, Co-Workers, Party Favors and More! 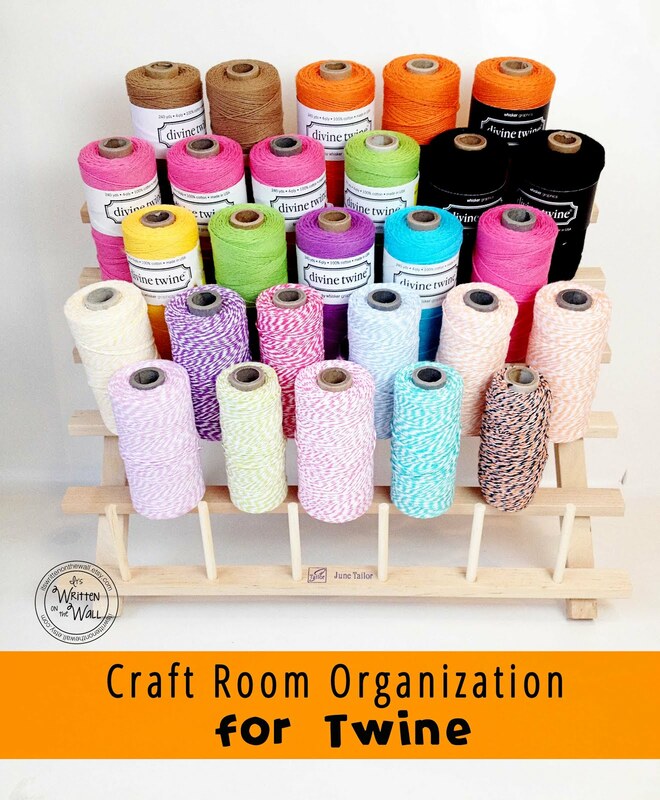 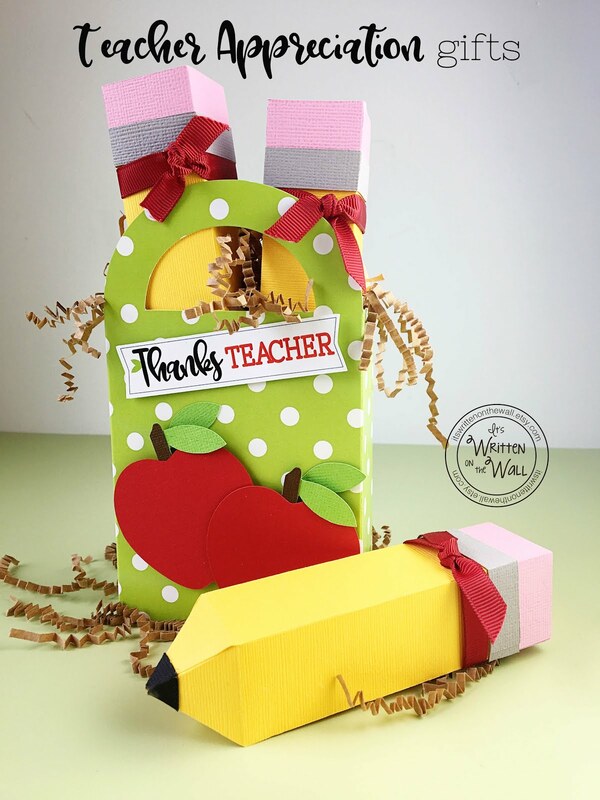 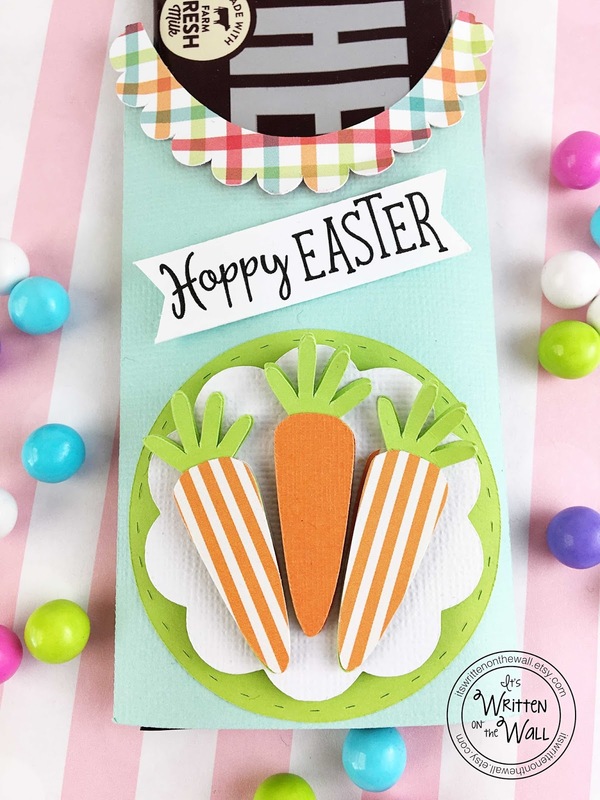 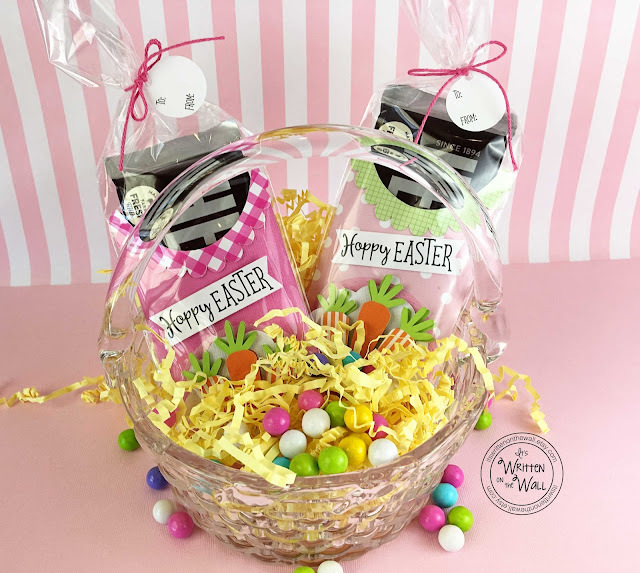 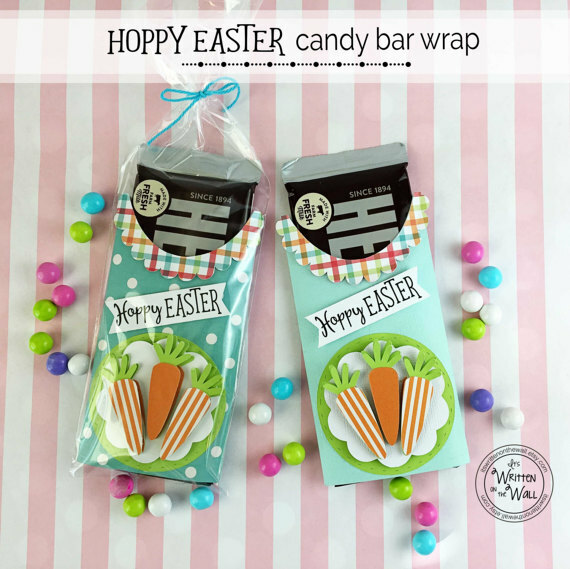 (Easter) A Very Special Easter Candy Bar Wrap for Baskets, Friends, Teachers, Co-Workers, Party Favors and More! 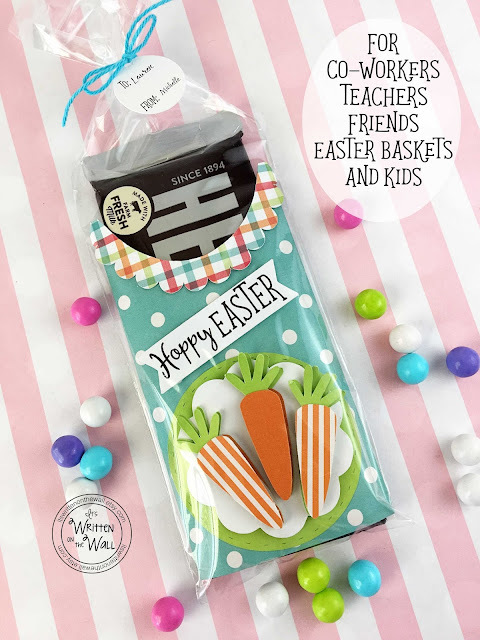 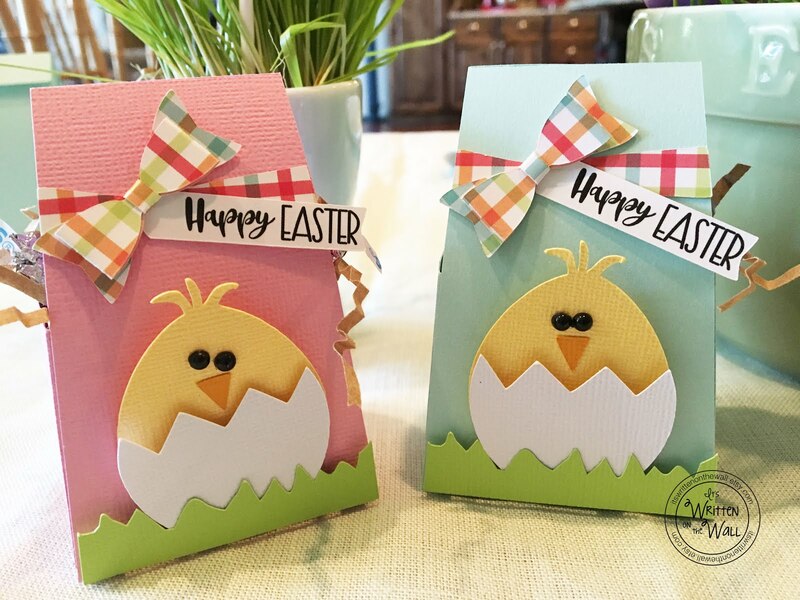 We've got something fun for Easter.....something you can put in the Easter baskets, give to family and friends and even to co-workers, teachers and employees. 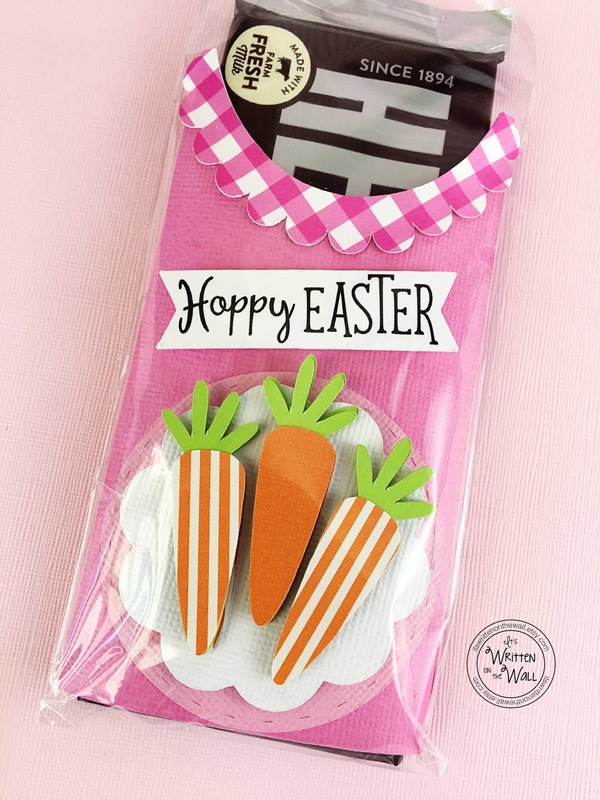 It's a Hershey chocolate bar wrap with a Easter Bunny theme. 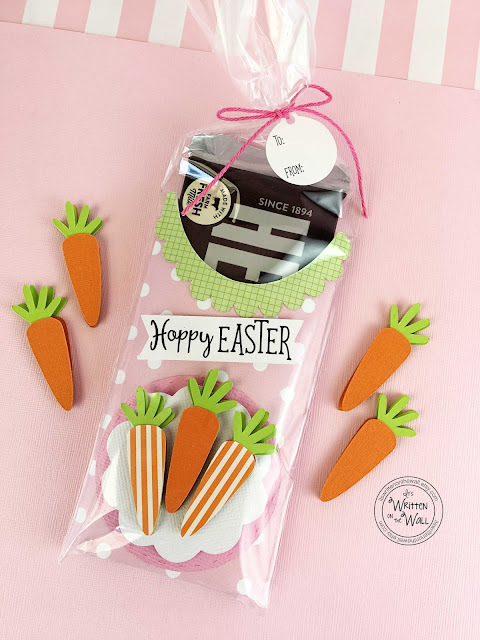 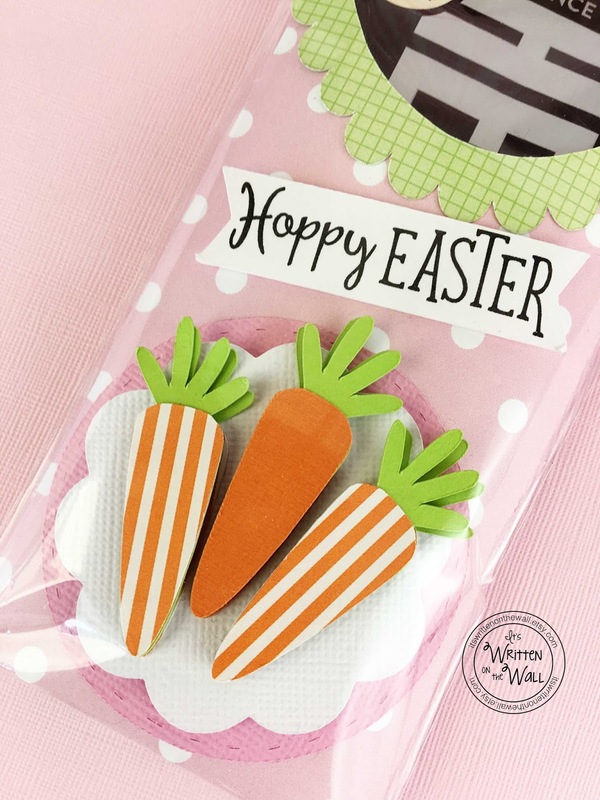 The carrot cutouts are a 3D version and look delightful agains the white scalloped paper. 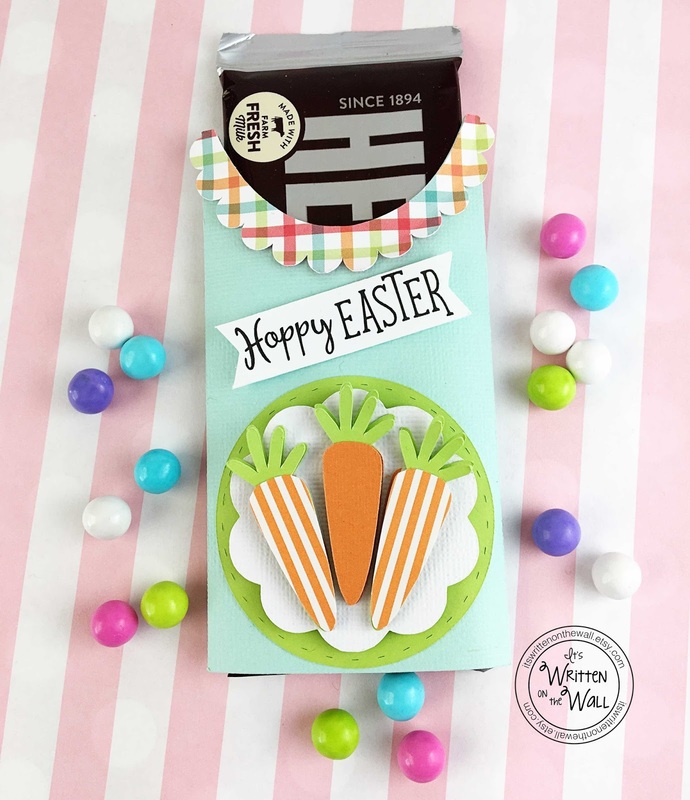 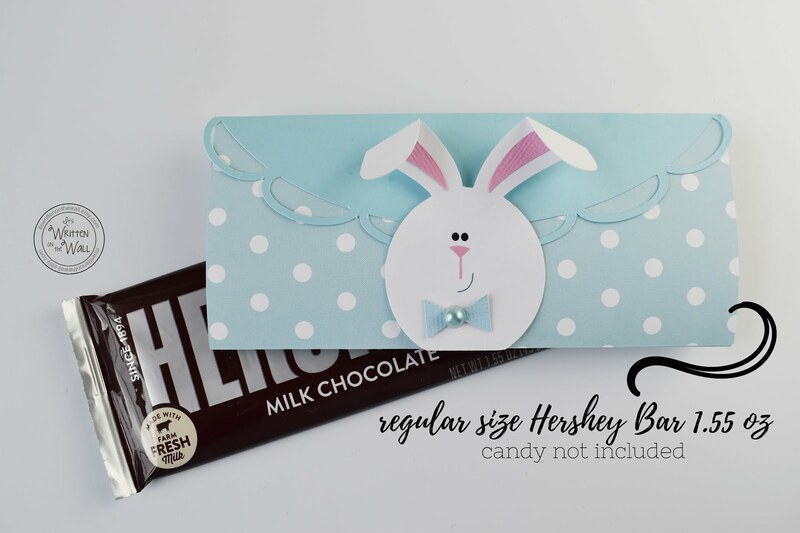 The sign actually says "Hoppy Easter" but can be interpreted as "Happy Easter" The wrap is designed exclusively for a regular sized Hershey chocolate bar (1.55 oz) Just the right amount of chocolate. You could also use as a place card for the middle of the dinner plate or up at the top by the drinking glass. 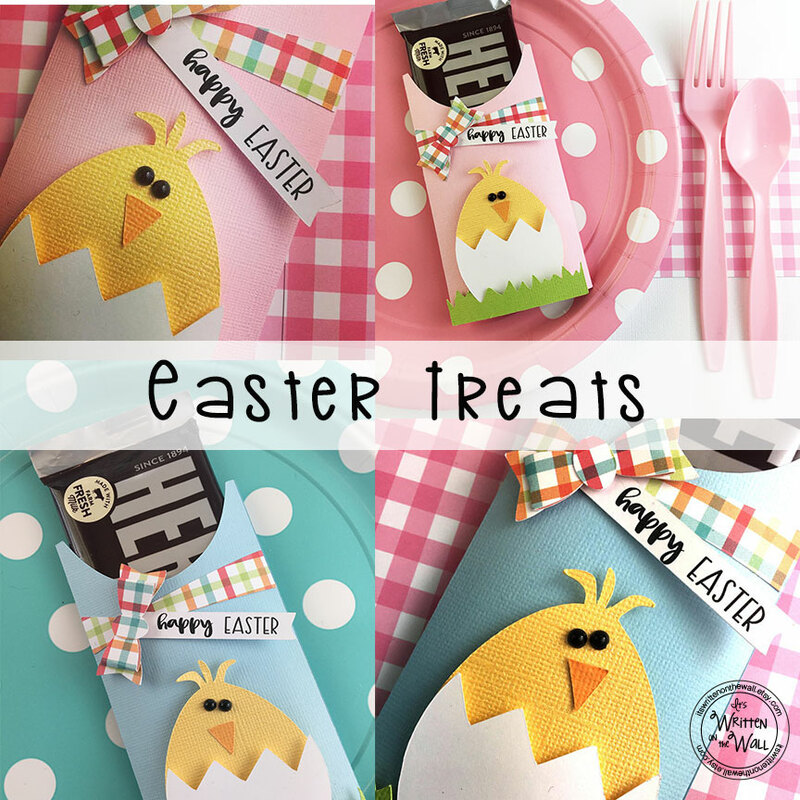 It will definitely dress up your Easter table. 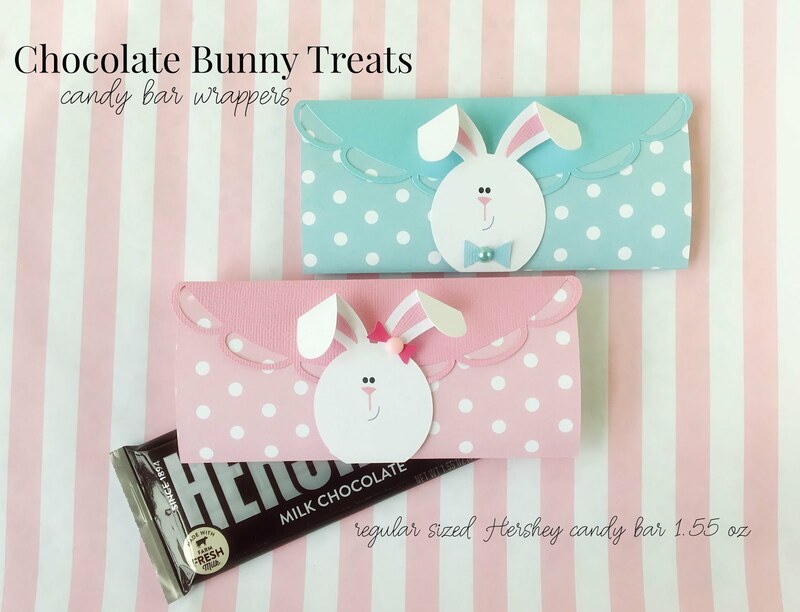 Slip the candy bar and wrap into the provided cellophane bag and you've gift wrapped them in seconds. 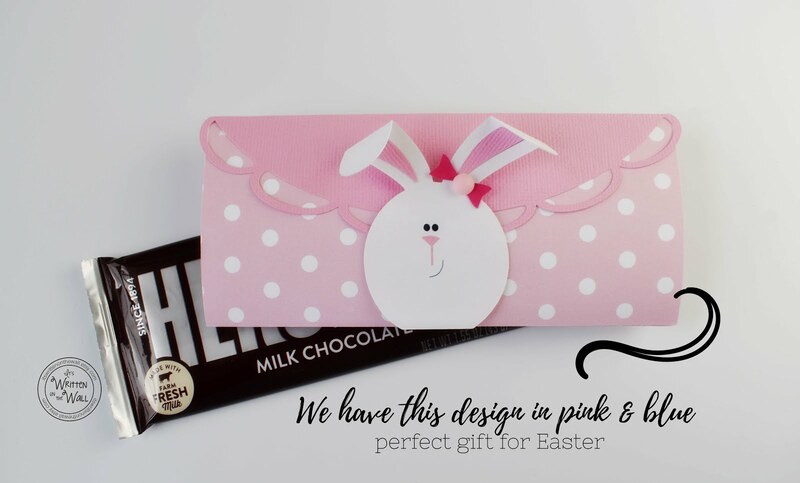 There are two pink designs, one with white polkadots and one a solid pink. 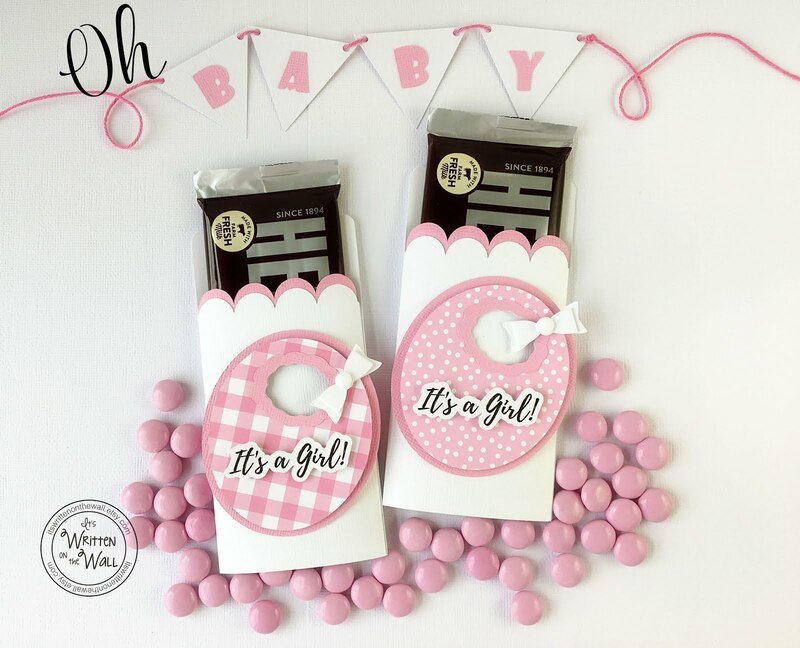 You can choose to have half and half in your order or all polkadot or all solid-It's totally up to you. 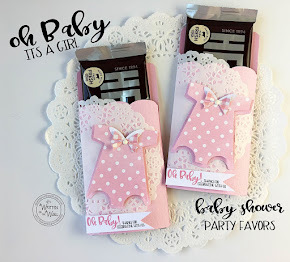 Would make a great party favor too. A very nice addition to the Easter basket, whether for the young kids or the older ones. 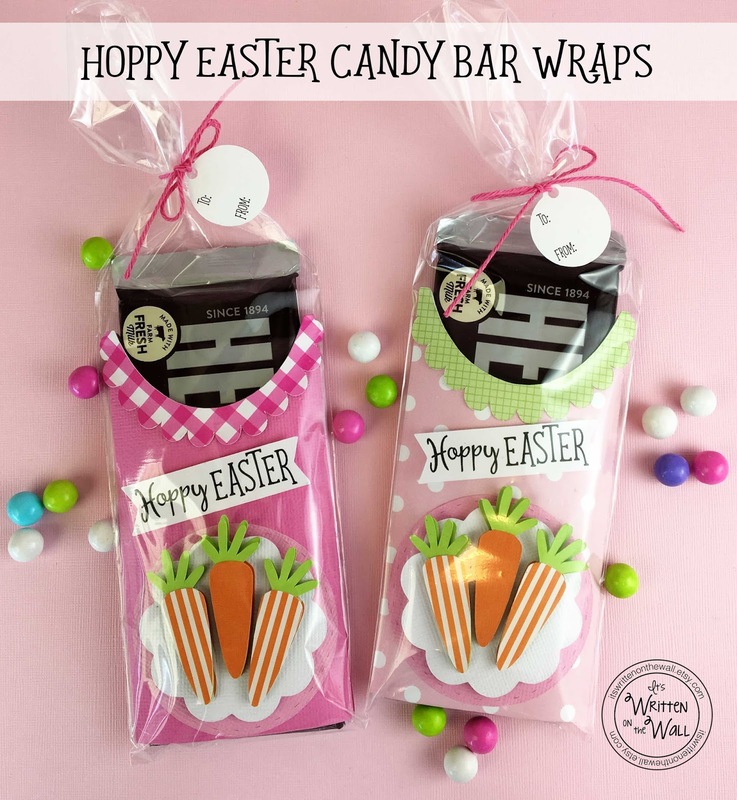 The wraps just make it all that more special. 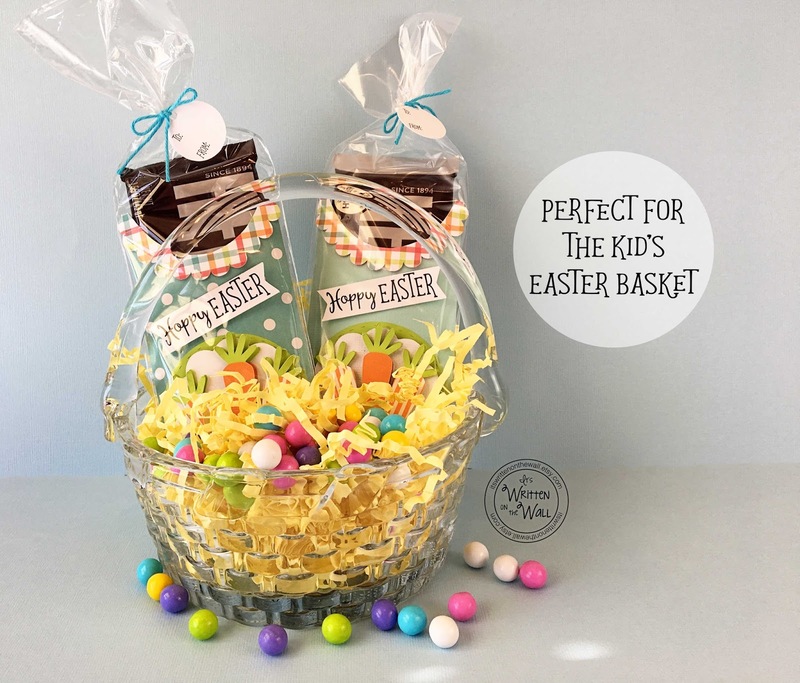 Very simple and easy to follow instructions are included with the kit. 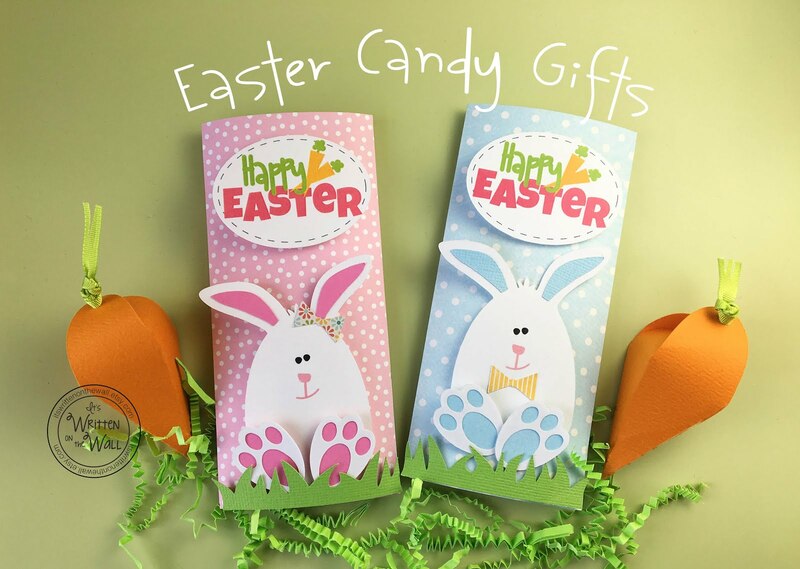 Be sure to order early, once we run out of the supplies they are gone!! 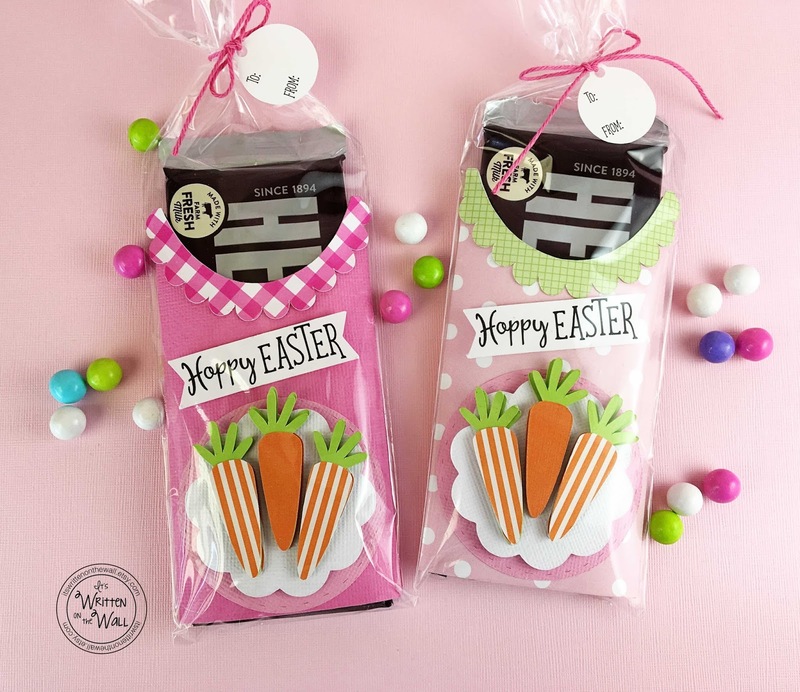 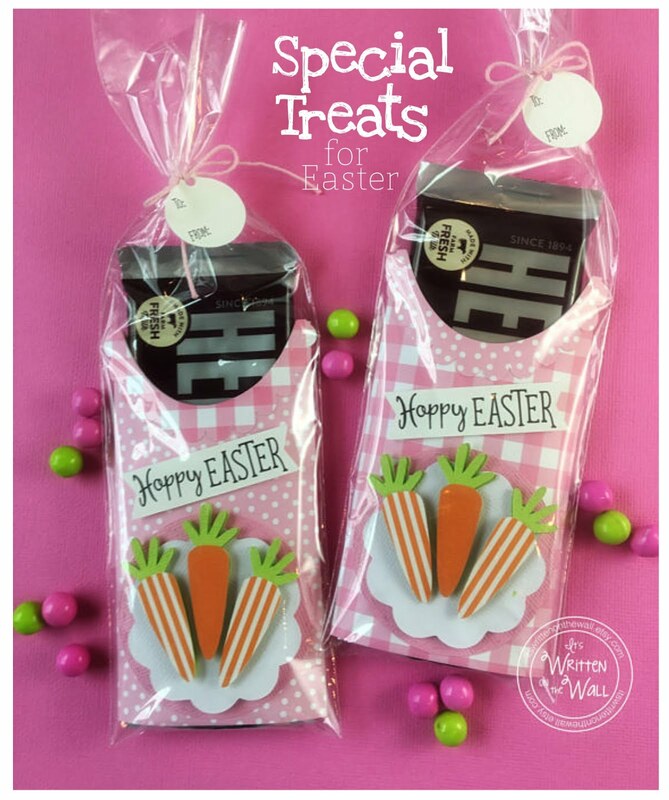 CLICK HERE to get these Easter Candy Bar Wraps now!